Sara and Josh met in biology class freshman year of college when they were introduced by a mutual friend. They frequently bumped into each other throughout the first year and a half of college and they would always stop to chat. Finally, after not running into each other for a while, Josh messaged her on Facebook asking if I wanted to get together to catch up and that led to their first "date". They will have been together for more than 4 years before they tie the knot. Their first date consisted of hiking in Athens to a spot called Radar Hill. It went on to become the place of their first kiss and where they got engaged. Speaking of the engagement, how did he propose? He made up a story about her roommate wanting to hike to Radar Hill one night during her graduation weekend, and then when they got up there it was actually him who had coordinated it and there were candles set up and his friend was there taking pictures as it happened. They will say their "I do's" on June 2nd, 2017 at the Chagrin Valley Athletic Club. For their engagement session, we spent the afternoon "hiking" through Hudson Springs Park. 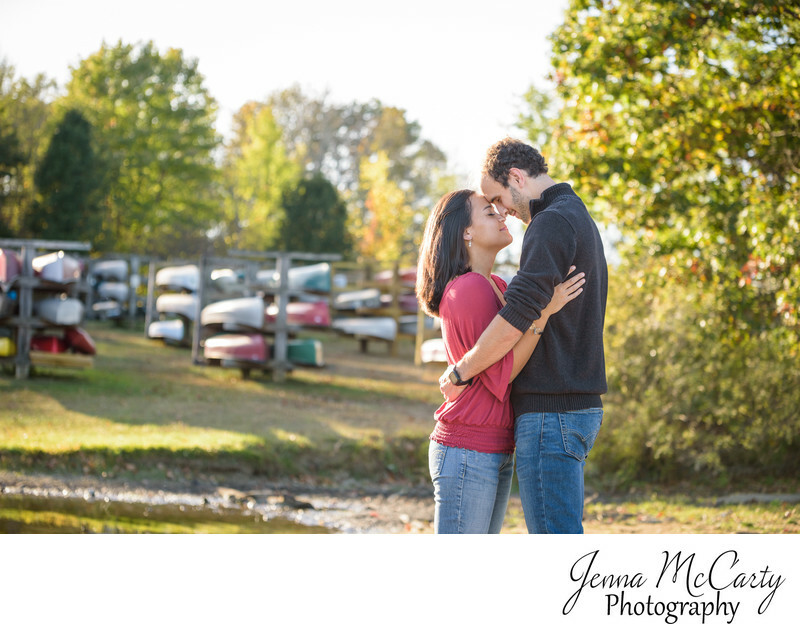 This photo features the couple embracing in the lake bed in front of "canoe city". Location: 7095 Stow Rd, Hudson, OH.